TED Talks are known for spreading thought-provoking ideas, and our favorite TED speakers from 2018 are no different. Ranging from academics, cultural, and scientific topics, these popular TED speakers engaged their audiences with their innovative and compelling ideas in 2018. Most of us are probably not on board with the idea of climbing a 3,000 foot cliff – even with ropes. Alex Honnold did it without them, ascending the face of El Capitan in November 2016 in what is one of the most daring climbs ever attempted. Lizards and salamanders regrow their limbs – why can’t humans? In this talk, TED Fellow Kaitlyn Sadtler suggests that by instructing our immune system to regrow healthy tissue we can heal wounds faster and with fewer side effects. Prosanta Chakrabarty makes good on his promise of “Four Billion Years of Evolution in Six Minutes” (in fact delivering it in 5 minutes and 40 seconds). He explains how the commonly held idea of evolution is wrong – humans did not evolve from monkeys. It would be more accurate to say we evolved from fish. 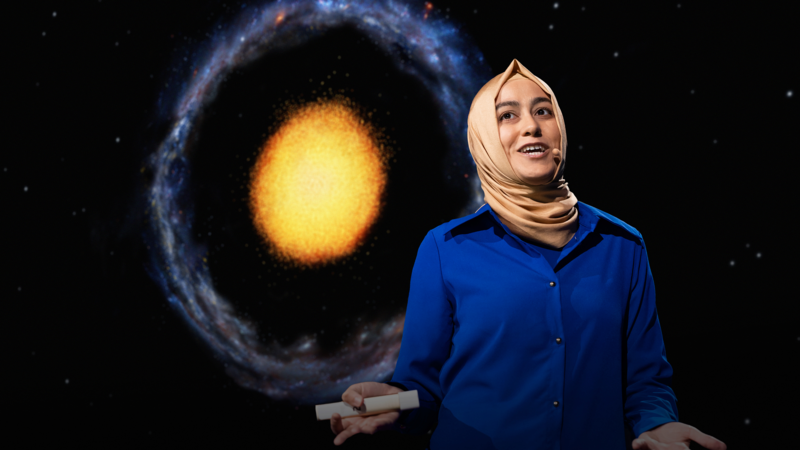 While Burçin Mutlu-Pakdil does not have an answer for how the universe works yet, she believes we should keep looking. Her discovery of an entirely new type of galaxy 359 million light years away from our own illustrates just how much we still have left to learn about the origins of the universe and the way it has evolved. From a toothbrush helmet to a googly-eye shirt, Simone Giertz loves making useless things. The idea of setting yourself up for failure, she says, takes away performance anxiety and the need to be perfect, freeing creativity in the process. Christoph Nieman’s illustrations have appeared in The New Yorker, WIRED, and The New York Times Magazine. In this video, he discusses the “scale of abstraction” and suggests that empathy is the most important trait an artist can have in order to know what will resonate with his or her audience. The key to finding business and employment opportunities, Tanya Menon suggests, isn’t through your close connections like your family – it’s through acquaintances and the people you meet by chance. If we want to find new opportunities we need to avoid social narrowing. For inquiries about booking one of these inspiring TED speakers for your next event, feel free to contact us.